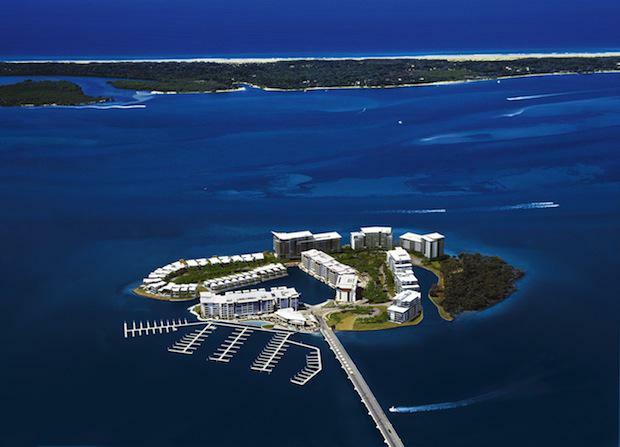 The Ephraim Island development located at the northern Gold Coast has sold out all 383 apartments for a total sales value of more than $350 million. Established in 1957, The Lewis Land Group of Companies has specialised in waterfront residential development including the Sovereign Islands development. Completed over a decade ago in 2003, Ephraim Island is one of the largest developments on the Gold Coast with five different precincts; Marina, Inlet, Promontory, Broadwater and Reserve. Home to over 500 residents, Ephraim Island was named Residential Lifestyle Development of the Year by the Housing Industry Association (HIA). The five precincts are a diverse mix of apartments, villas and homes and 75% of the island is dedicated to open parklands, lakes, inlets and a conservation reserve. Mirvac chief executive officer residential, John Carfi believes that the uniqueness of the Ephraim Island community will not be replicated on the Gold Coast again.